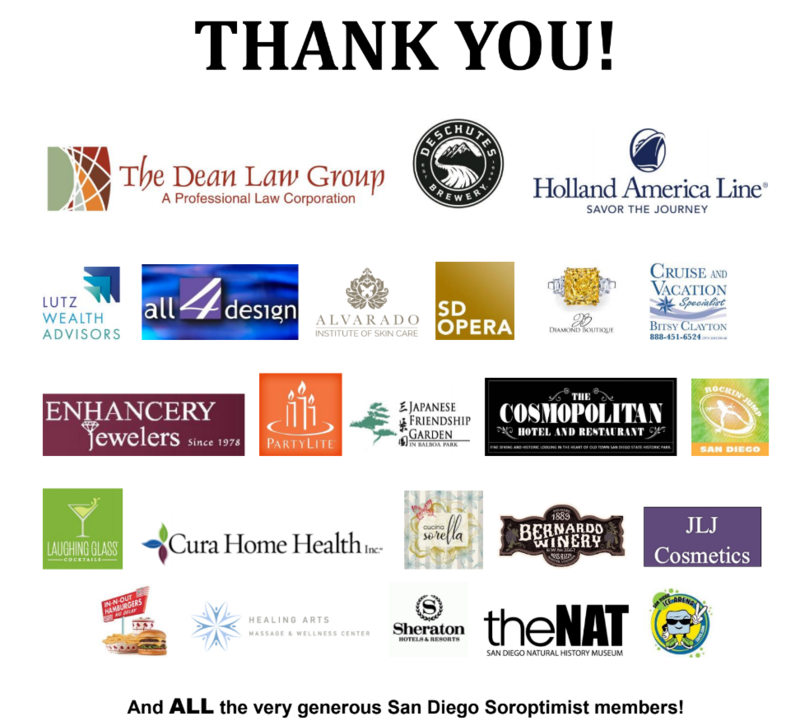 On behalf of the women and girls we serve, Soroptimist International of San Diego would like to thank you for your generous support. Our club is grateful for individual and corporate sponsors, partners, grantors, in-kind donors and volunteers. Your humanitarianism helps improve the lives of women and girls through programs leading to social and economic empowerment.